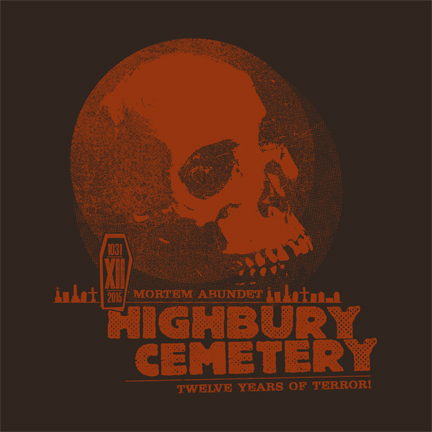 Based on the Highbury Cemetery 2015 logo, the new shirts are finally done! 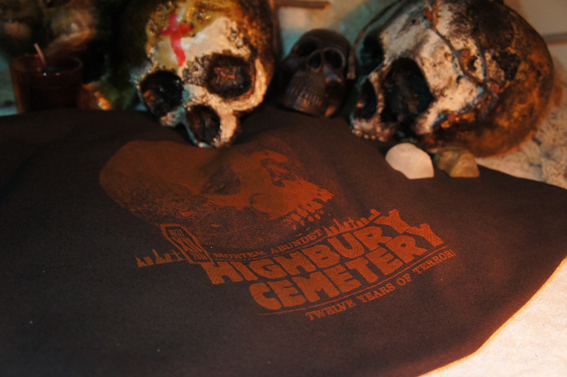 The new batch were just hand-printed in our basement and are ready for the grand unveiling! 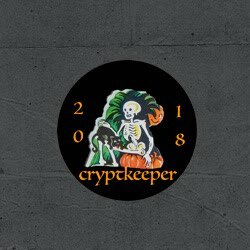 This year, I didn't want to do another "white ink on a dark shirt" combo, so I tried to get a bit more creative, with a bit of luck thrown in for good measure. Before screening the art, I did some research on lighter colors printed on darker shirts and quickly realized that I had no way of printing an underbase of white in order to get the orange to pop and hold its brightness. It was at this point that I decided to roll the dice and see what we'd get if we printed the orange anyway. And this time it paid off! As expected, the orange ink absorbed into the shirt. 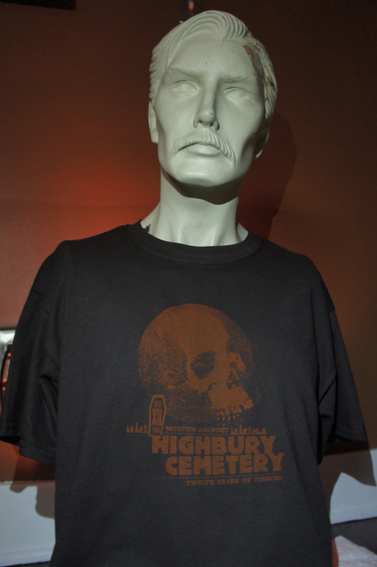 But when it dried, it was more of a dark burnt orange that looked AMAZING on the dark brown shirt. I was really happy with the subtle image. 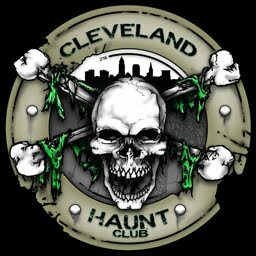 I always try to do something different from the usual haunt logo/shirt, and this time I was very pleased with the results. Nuts. Please put the emphasis on "late" for those newly forecast showers... 5 more days to go! !